Sure there are things that you can do on your own to make sure that your A/C unit is functioning properly, like cleaning the air filters and keeping the surrounding area clean. But its operations could be even more productive if you call a professional for routine maintenance. 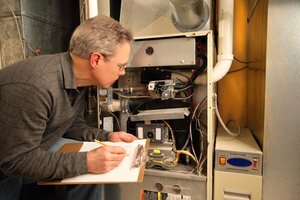 HVAC technicians are able to clear the drain of the unit to ensure that your unit will work quickly, as well as thoroughly clean the unit so that it is pulling in air and not dust. The only problem that you need to add to your air conditioning not working is to get sick due to dust consumption. Avoid that double whammy at all costs. A programmable thermostat is recommended to be installed so that no fuss goes into making sure your home is cooled at the ideal temperature. And as always, efficiently sealing any open spaces to keep cool air inside, drawing blinds to block out sunlight, and properly setting your thermostat to the right degree can not only cool down your home but also make certain that your air conditioner will have to work less. At Shipley Energy, we recognize your need for a no-hassle thermostat, and that’s why we have introduced the Nest Thermostat to our customers. The Nest Thermostat programs itself and can be controlled from your phone… just like everything else in your life! Don’t roll the dice when it comes to your A/C unit. Take the correct preventative measures today to guarantee that you will have a cool, comfortable summer!